As we approach the debut of Drake's next album, these are our hopes for the project in an ideal world. We are a little over two weeks away from June (#birthdaymonth) meaning we are one step closer to the next chapter of Aubrey Graham’s music career. A few months ago he revealed, through Instagram, his next album titled ‘Scorpion’ will be available in the halfway month of the year — a month he hasn’t released an album in since ‘Thank Me Later’ of 2010. For me, that immediately triggers feelings of nostalgia and reflection on his progress up to this point. Countless epic collaborations, sold out shows, flings with the hottest celebrities, and continually finding a way to keep his name among the top artists in the game. Drake recently announced he has a tour titled “Aubrey and The Three Amigos” coming up, with Atlanta’s own Migos. Perfect timing for his album, and Migos’ undeniable success this year after their release of ‘Culture II’ at the end of January. I can’t help but think the trio, or at least one of them, may be getting a feature on the album too. Features. Features are one thing Drake has never shied away from. Undeniably he stands strong on his own, but he’s made a career of linking up with the hottest rappers in the game and giving up-and-comers a platform to get their names out there. Just recently, he connected with Lil Baby on “Pikachu,” which debuted on OVO Sound Radio and Apple Music as “Yes Indeed.” In this song they contrast with each other, with Drake more laid back and basically talking over the track while Lil Baby attacks the beat. As I’ve said before, a lot of times the singles he releases prior to an album don’t mean anything more than just something to hold the people over before his album drops. He doesn’t release tracklists ahead of time, nor does he let us know who we can expect to hear. So I’m here to make some predictions, but also list some dream features that likely won’t happen but would be awesome to see. “That OVO and that XO is everything we believe in.” We’ve recently seen Drake and Abel Tesfaye reconnect full force after label disputes caused what seemed to be rift early in in The Weeknd’s career. They drifted briefly and have slowly worked their way back to the buddy-buddy relationship they once had, but this whole time we’ve wanted nothing more than another collab after 2011’s "Crew Love" off of ‘Take Care,’ “The Zone,” from 2012’s ‘Trilogy’ and “Live For” from ‘Kiss Land’ back in 2013. It was rumored that The Weeknd had some involvement on 2017’s ‘More Life’ but we ended up not getting the feature we wanted there. Drake always has a vault of music he sits on, and I have a feeling he’s got something with The Weeknd that may just be their best work as a duo yet. Timing is everything. SZA grinded throughout her career and reaped the benefits with the overwhelming success of 2017’s ‘CTRL.’ Her ability to be so vulnerable in her music and trigger our emotions made her a quick favorite for many, though she’s been doing this for quite some time. Drake, when he sheds the bravado, can also be very vulnerable and make music we can relate to. He’s been seen hanging out with her on social media, which cause quite an uproar, and he’s always looking to work with different people, as it brings another element to his artistry. I think they will put together something that will be a standout track on the R&B side of ‘Scorpion.’ Or maybe we get a “Solána Interlude.” Imagine that. I don’t know about y’all, but 2014’s "Odio" by Romeo Santos featuring Drake has been and always will be one of my favorite songs. He was able to sing in Spanish then rap over the same beat and click well with one of one of bachata’s biggest stars. He’s been hanging out with Bad Bunny on the Latin star’s Instagram story, which created a lot of rumors and lead me to think they have something in store. His last two albums have shown him tapping into Grime and Dancehall, showing appreciation for cultures that were not really his own and trying his hand at their music. I think this time around he dives into Latin Trap and reminds the Dyckman and Heights girls why they called him papi. This isn’t much of a prediction, as it is basically a guarantee. PARTY has been on Drake’s last three full-length projects, and the reverse is true. Each time they both manage to stand out with their croons and yearning for love. Tracks like “With You,” "Recognize" “Since Way Back,” and “Come and See Me,” among others, remind us how lethal the two can be when they come together. Lord knows what’s coming next, but I’m sure it will be another banger. The list goes on. Drake and Rozay had the early 2010’s on smash with some of these hits. Their chemistry is undeniable. They haven’t connected on a track since 2013’s “No New Friends.” Five years too long. Their laid back, braggadocio flows match each other so well. Seeing Drake get back to that with one of his top collaborators would really help ‘Scorpion’ bring his career full circle. Back in late 2016, Bryson Tiller was tweeting about working with Drake and it was assumed he would be on ‘More Life.’ It got me hype for a blend of 2015’s ‘T R A P S O U L’ and ‘Take Care.’ Bryson ended up not being on the album, and I’m hoping it’s because they took more time to perfect a song that would get the toughest music listener in his feelings. Make it happen gentlemen. Regardless of whether you think Drake stole XXXTentacion’s “Look At Me!” for the Giggs-featured “KMT” cut off of ‘More Life’ or vice versa, the flow was intriguing and made for a unique track. Now, he has to do it right and get Philly’s own Lil Uzi to bring his eclectic couplets and autotune for a real ‘mumble’ track. If you’re gonna go that route, go all the way. This isn’t much of a dream since Drake has worked with Migos multiple times now, with hits like “Versace” and "Walk It Talk It". However, Quavo got his own individual feature on “Portland” and Offset got to work with Drake alone on Metro Boomin’s “No Complaints” so it’s time for Takeoff to shine. People are finally giving him the respect he deserves ever since the drama surrounding him being left off "Bad & Boujee" so I’d love to see him and Drake trade bars on a track. I know they’re not on good terms right now, hence why this is on the “dream” list, but after “Too Good,” "Work," “Take Care,” “What’s My Name,” and even his use of the flow Rihanna and Pharrell excellently pulled off on his remix to “Lemon,” I can’t help but want one more track from them. Or maybe I just want them back together. I know I’m not the only one though. Of course there are many others I’d love to see, but these were the main people. 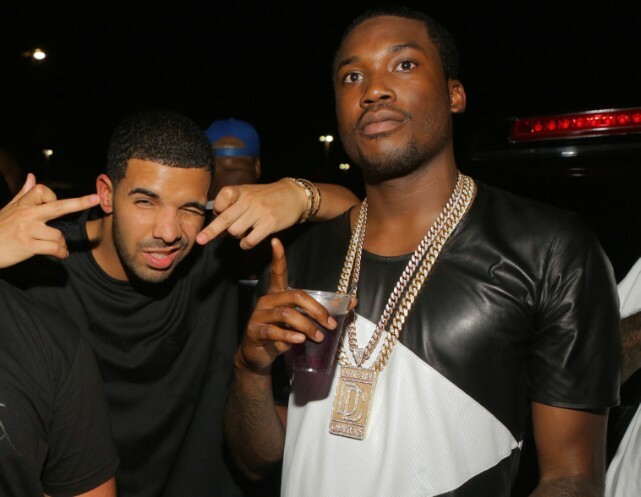 Meek Mill is free now and while they’re not besties, the 2015 beef has subsided. What better way to confirm that then another classic collab like "Amen" or “R.I.C.O” ? Nicki Minaj also has a lot to get off her chest with the Migos/Cardi B drama I wrote about (link article) so Drake could unleash her on one of his tracks where he airs out his beef with the haters, because we know he’s gonna have at least two of those. There’s a slew of younger rappers and R&B artists who he could connect well with. We just don’t have the time to listen to an album over 20 songs, where he can equally shine on his own and link up with EVERYONE who he could possibly do a good song alongside. I’ll likely be left wondering what could’ve been when the album drops, but I look forward to seeing if I end up correct on any of my guesses. We will see when ‘Scorpion’ drops on the alleged release date of June 22nd. Until then, enjoy this playlist I made of some of Drake’s best collaborations.